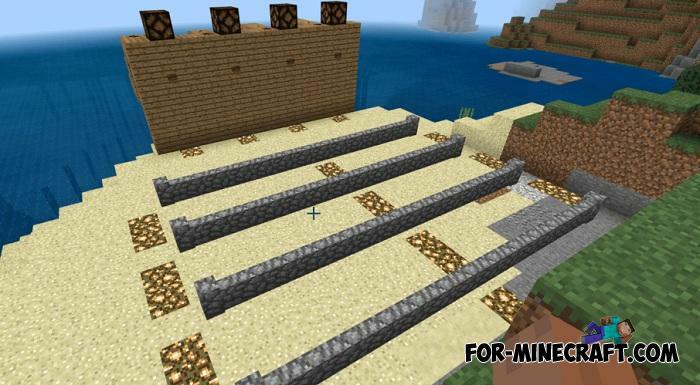 Each challenge map for Minecraft PE has one or more specific goals that you must complete. This one will test your memory as well as the archer skill without which you will not be able to proceed to the next stage. There are 4 levels that are divided by a fence where you, as the main shooter, must hit the desired button. But shooting accuracy is not the main skill for testing. Your memory will be useful to you in order to memorize the order of ignition of lamps one after another. Umbrella Challenge Deluxe map for MCBE 1.8/1.9Catch a fresh update for Umbrella Challenge which can be separated into a separate map because there is a lot of new..
PixelArt Challenge map 1.0.6Have you ever played pixel art with a countdown? PixelArt Challenge will make your brain work and check the memory of each player..
Elytra - Carnival Challenge map (1.0.0/1.0.4)Since developers have added elytra wings to the game, some players have begun to create very entertaining and colorful maps..